Beach Commercial potential or residential. Between Hwy. 87 and the Gulf. Non-restricted. 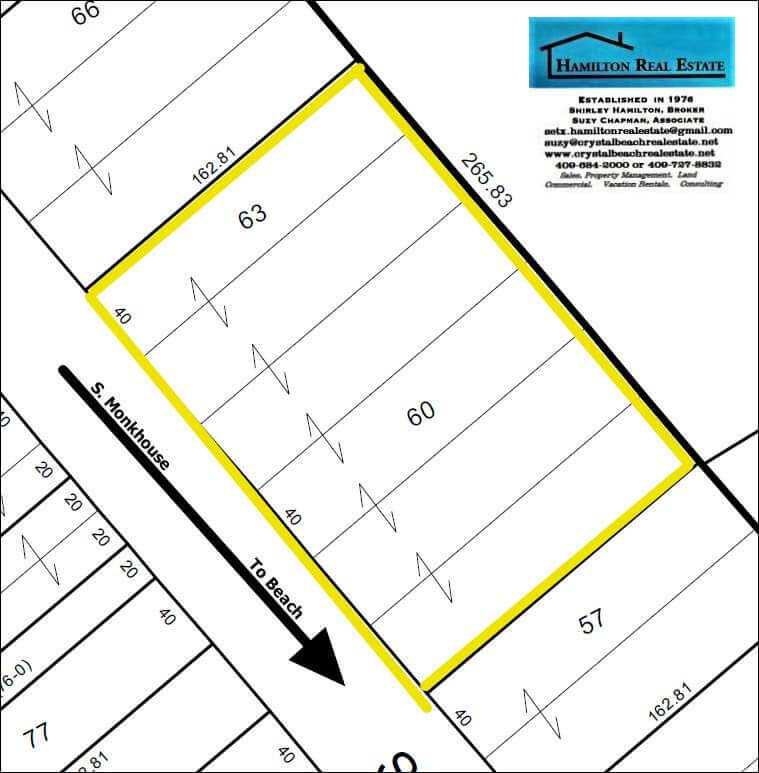 Large enough for development in the Heart of Crystal Beach. All permits per Galveston County. All utilities available. Limitless possibilities.Seller will consider all offers. Existing septic may meet your needs. 12 miles from Galveston Ferry Landing. Large enough tract for on-site management living to accommodate commercial endeavor. Plenty of parking area. 240 feet of road frontage north of Auto/Golf-cart access to beach. Six platted deep lots.Unique parcel on Bolivar Peninsula,across the Bay from Galveston by ferry. OWNER FINANCING available with 1/2 down and 3 year balloon. Platted for aerobic septic per lot. Call for appointment. Drive to the Beach without Hwy. 87 traffic. EASY ACCESS to BEACH! For Printable Flyer please click the link below.